Imagine being told that you have to go to school on a lazy Saturday morning! The sheer drudgery! Well ,that is where things are different at Rustam. The students and teachers work together to create a perfect, friendly environment for work. It is unthinkable for them to be somewhere else that day of the week! It is quite common to spend the whole week planning and thinking about what is going to happen next Saturday. “We all like going to Rustam, because of its warm community,” says a student. Rustam is inherently a place where children can bond with their teachers. It is a place where they can find friends in strangers. Children learn to read write, and understand the sweet language of Farsi in a calm, happy atmosphere. Rustam cannot just be called a school, it seems to have created its own Little Tehran. The school itself was established 18 years ago, with no more than 20 students in a small rented apartment. I asked some previous students who attended Rustam about their views and their memories about the school. Rustam was the first Iranian school set up in England. Now it has approximately 150 students, a building that is rented on Saturdays. It has a library, a theater, a gym, a computer lab and around sixty classrooms of which twenty are used today. The teachers are all dedicated, well educated and have a love for all things Persian. 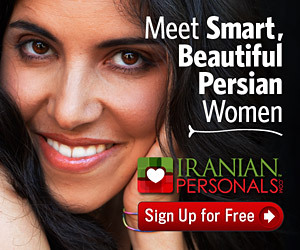 This makes them ideally suited to both teaching Persian and to perpetuating the beautiful culture. They are so friendly that the children feel free to seek them for help. They have the ability to seem like friends rather than teachers, but at the same time, they have the skill to create a classroom environment conducive to learning. The brains behind the operation, as it were, is a Mrs. White (aka Mrs. Taheri). It was because of her concern along with those of some fellow Iranians living in London, that Rustam was started in the first place! The parents and the Iranian community who live in London were worried about their children forgetting their mother tongue, their heritage and culture. Now, thanks to these people, the children are being taught the importance of cherishing their homeland, Iran. Mrs.White a well-known women in English society, is a hardworking, caring women, whom everyone respects. She works hard to bring Iranians together. I can say that she is a very good role model for us Iranians. There is a school assembly where parents, students, children and other members of the school are invited to attend every two weeks. The assembly starts with a warm welcome from the headmistress Mrs White. This is followed by selected classes performing skits or a show in front of the whole school. Students and teachers then make general announcements and the assembly ends by every one singing the respectful anthem “Ay Iran”. I always see the teachers speaking to the children and reminding them of the importance of their Iranian background, and what it is that they should endeavor to treasure, appreciate and hold so dear. They are taught how to be concerned for each other, and to put away with such things as greed, envy and jealousy. If a student does well, the other students commend him or her. If a student does badly, all the other children try to help, by showing the knowledge that they possess, instead of teasing and taunting. The students are made to feel at home. The fact that they are with other students of the same background makes them feel more accepted and cared for. Since no matter how long they have lived in a different country, the way that they have been raised is different from their English friends. Therefore, they cannot completely be understood by those English school friends. In Rustam they can discuss the problems of having to cope with having two different cultures — taught to them at home by their parents, and at school by their English teachers and friends. They are shown that they are not alone, that the blood that runs in their veins is the same that of their Iranian teachers and classmates. This imbues a sense of honor and respect for them. Students learn Farsi by being immersed in an Iranian environment and culture for a whole day. This allows and encourages children who have no Persian skills to quickly pick up the basics and soon forget that they were uncomfortable with the language. Rustam is a school where the students can visit their friends and study in a vivacious environment; it is a place that does not discriminate. Everyone is accepted and treated as an equal. Students improve on their own qualities, and competition is not needed. The school is for all people and all ages. Everyone has fun and learns at the same time. It almost seems as though everyone there make up one big family. Rustam is well known in London because of the warm community. It is as though the school is a small Iran. When you go inside the building, you can even forget for one day out of the week that you are in exile. The students, teachers and parents feel as though they are back home!